James, to the left of its twin and arch-nemesis Stearns, was built in 1948. It provides first-year housing at its finest, especially on the fourth floor. 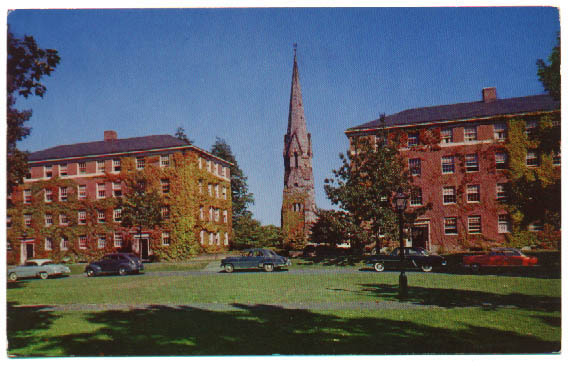 Room 405 (second, third, and fourth windows from the left on the top floor) was a two-room triple with a beautiful view of the Freshman Quad, and very little personal space.